Carlos Leal, 65 passed away Friday, March 29, 2019 in Tahoka. Services for Mr. Leal will be 10:00 am Thursday, April 4, 2019 at Calvillo Funeral Chapel in Tahoka with Pastor Lee Gamez officiating. Burial will follow in Nevels Cemetery under the direction of Calvillo Funeral Home. Family will have a prayer service 7:00 pm Wednesday, April 3, 2019 in the Chapel of Calvillo Funeral Home in Tahoka with visitation starting at 1:00 pm. Carlos was born November 30, 1953 in Post to Jesse and Maria Leal. He was a very talented carpenter and hardworking farmer who enjoyed watching the Dallas Cowboys and Texas Tech Basketball. He also loved playing the accordion and spending time with his family and friends. 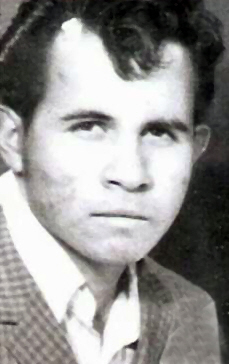 He is survived by a son, Carlos Leal Jr. of Corpus Christi; two daughters, Sylvia Michelle Leal, Maria Leal both of Austin; three brothers, Juan Leal of Pflugerville, Erlindo Leal of Hereford, Tony Leal of Garland; one sister, Rosa Martinez of Brownfield; nine grandchildren; one great grandchild.